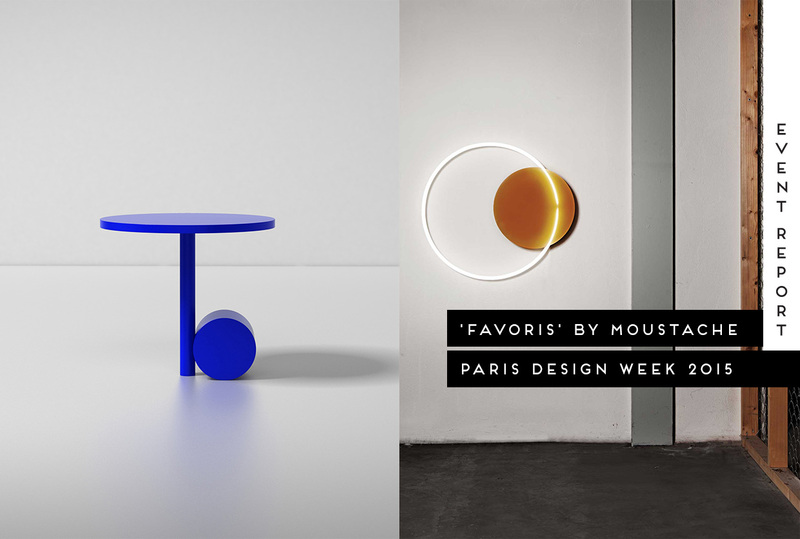 Moustache Presents ‘Favoris’ at Paris Design Week 2015. 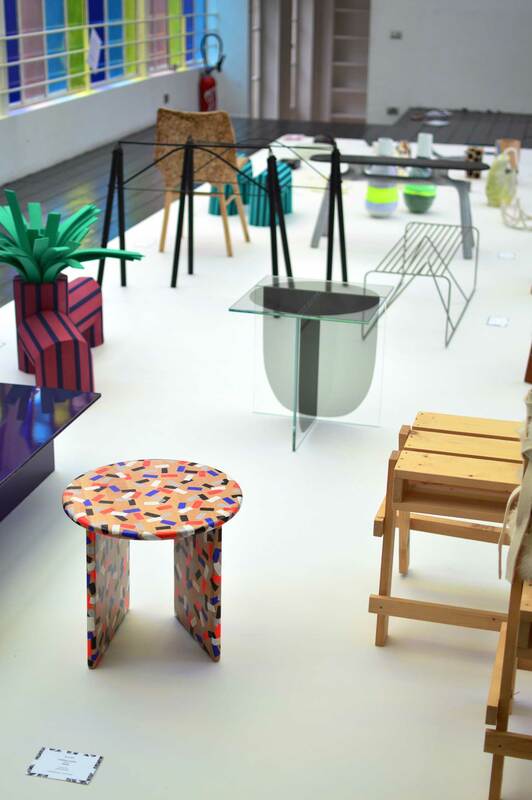 For those not so familiar with the French production and design house , a sense of fun and wit play a huge part in not only their range of products, but also in how they present their world. In Milan this year, rather than presenting another stand in another hall, Moustache screened a conceptual video loop of purple actors in a purple room, putting together some of the Parisian’s most iconic pieces. This approach was an attack at the streamline nature of the design industry, from the products to the commercial presentation of brands. Favoris is another attack at the industry at large, as well as a celebration. In traditional Moustache humour, “favoris” literally translates to sideburns in French, and like the namesake is a close relation to their product line. Perhaps a little more off-centre. 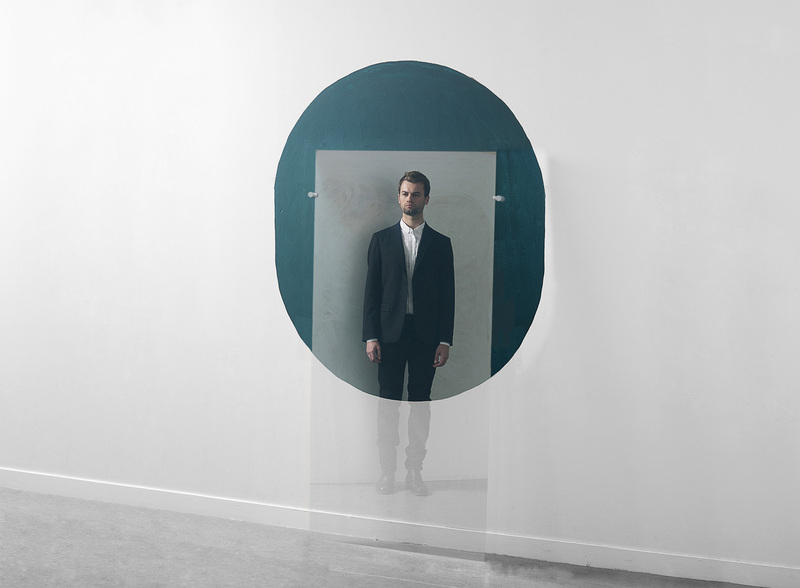 The Favoris concept was first inspired by the Swedish collective , which during the Stockholm Design Week, presented a range of limited edition, one-off and experimental pieces by local designers. Far from being a high-end affair, the Moustache team was blown away by the atmosphere of the event, and the affordable prices, coupled with high quality of the products on offer. A night where those who can still fit a wallet in the pockets of their skinny jeans could manage to come away with some design gold. 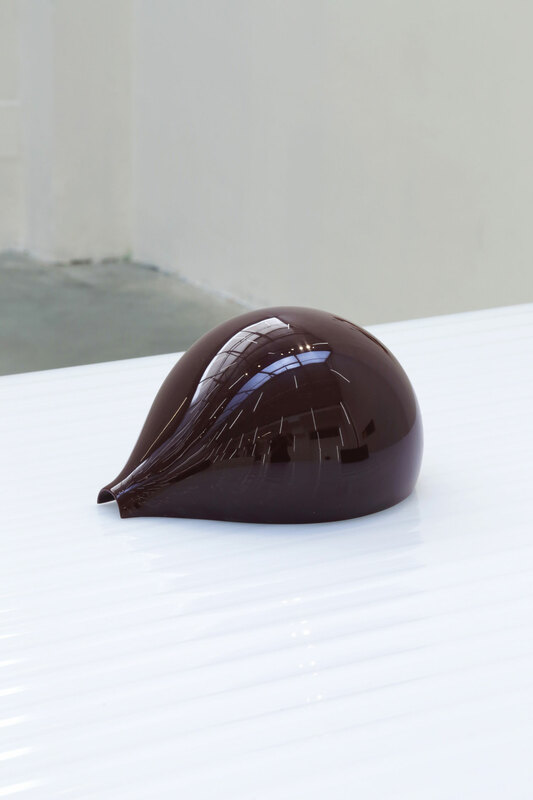 With the curatorial help of Dutch icon , Favoris was created to promote these more unique designs produced away from the constraints of mass markets and mass production. Moustache’s ultimate cabinet of curiosities. The Reflect installation by Claire Lavabre is used to highlight glass as a reflective material, but at the same time transparent. 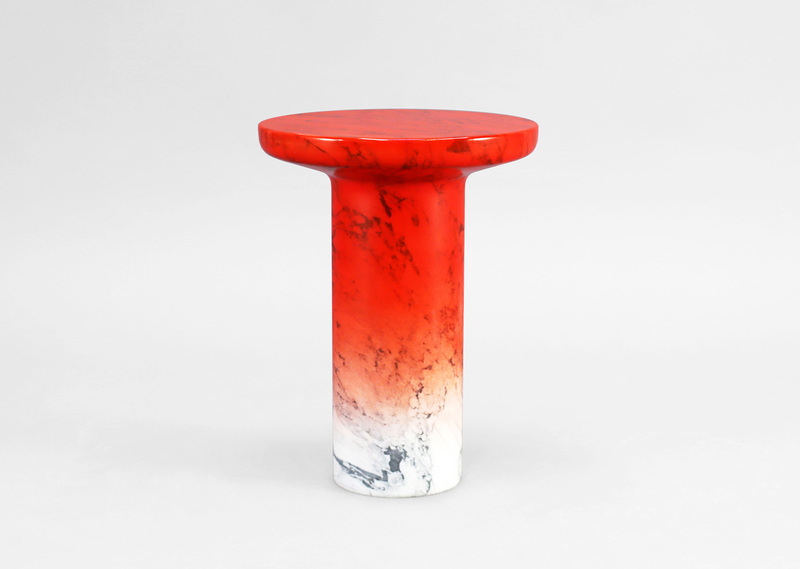 The Little White Lies side table by Nic Ross aims at contemporising the Roman aesthetic and use of marble by combining classic form with an un-natural colour pallet. 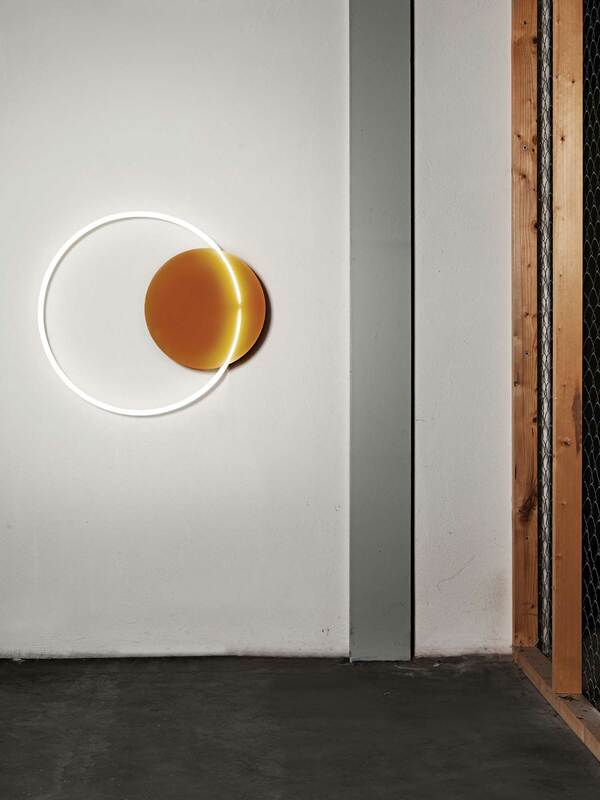 The Voie light series by , combining neon lighting and resin blocks. 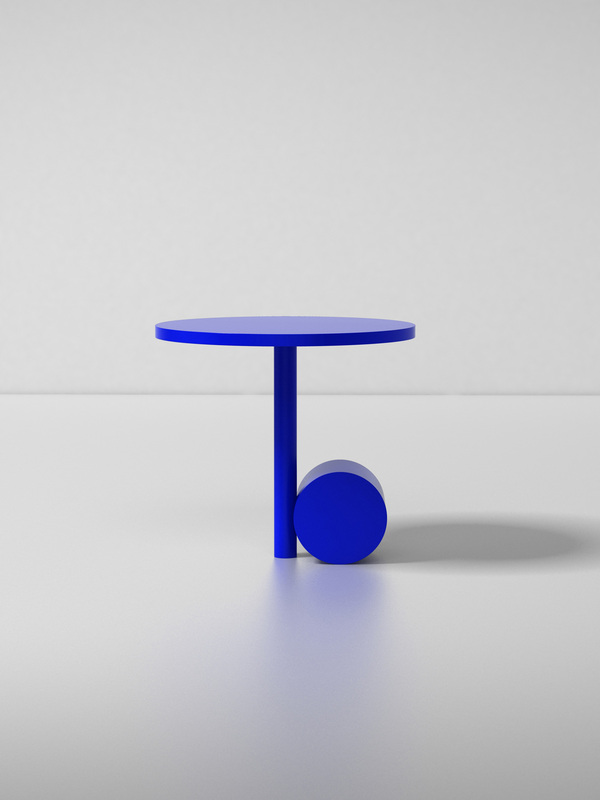 The Table Basse Bleue is a simple combination of form by French studio Pool. 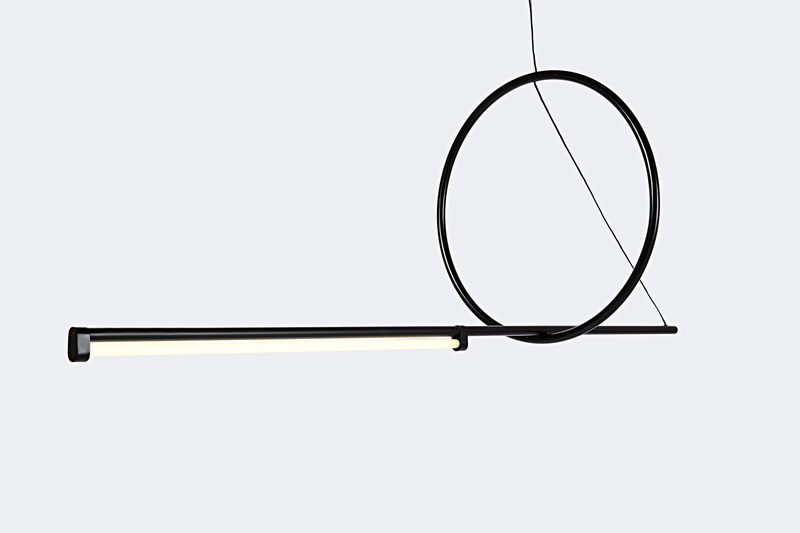 A sublime use of shape and balance is also apparent in Pool’s Trait et Cerde light. 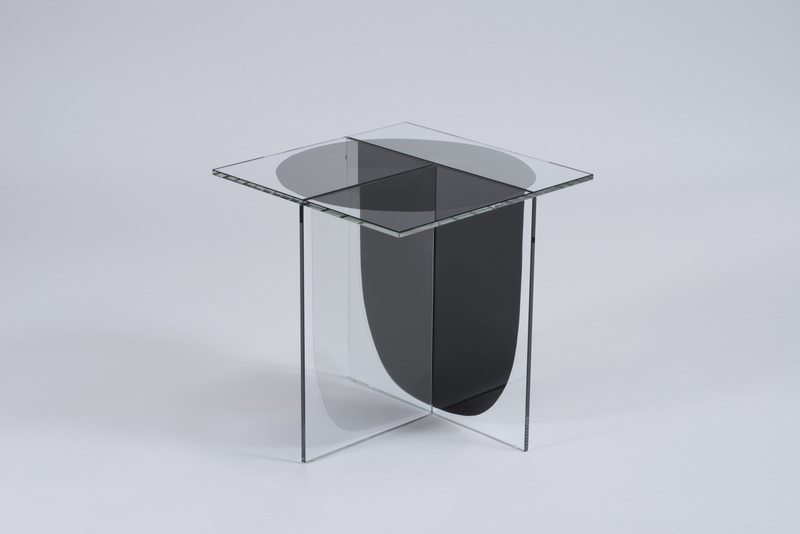 The beautiful restraint of Dutch studio OS & OOS is evident in their Bipolar side table. 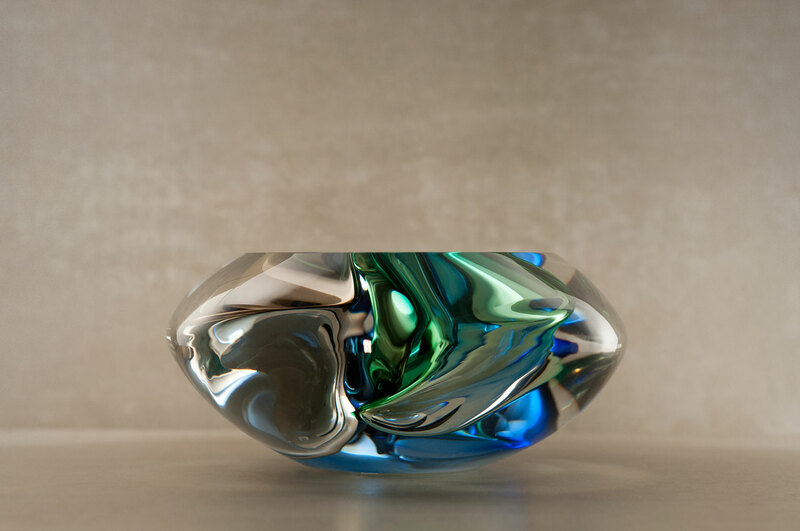 German designer Phillip Weber worked on a new glass blowing tool to create coloured air pockets within his stunning objects. 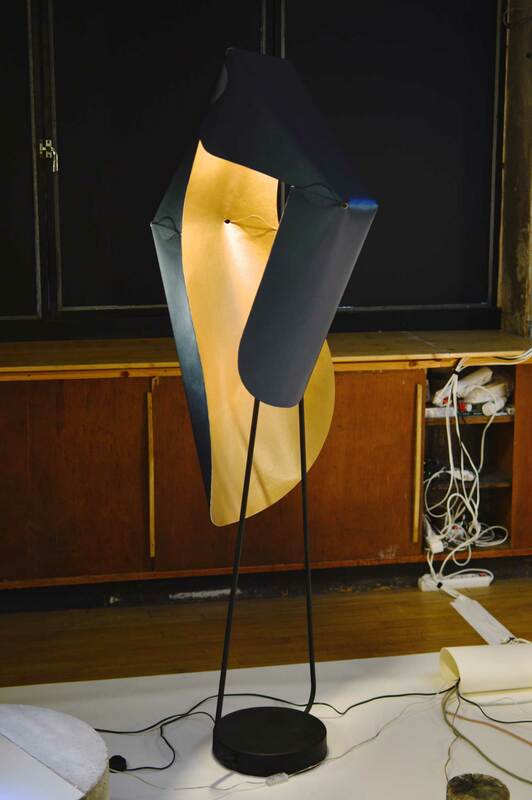 Shield was just one of the pieces presented by Tijmen Smeulders that experiment with polyester as a composite material. 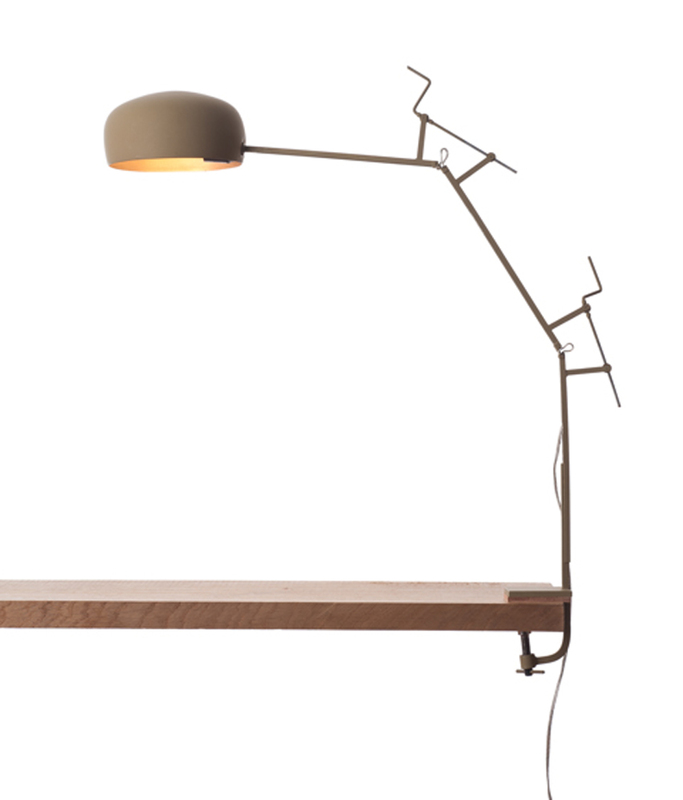 The beautiful fragility of François Azambourg’s Manivelle light. Presented during Paris Design Week, Favoris was located down a back alley, in a run-down courtyard and up some creaky stairs. Rather than diminish the quality of the pieces on show, the run-down nature of the old Parisian apartment only drew focus onto the design at hand. 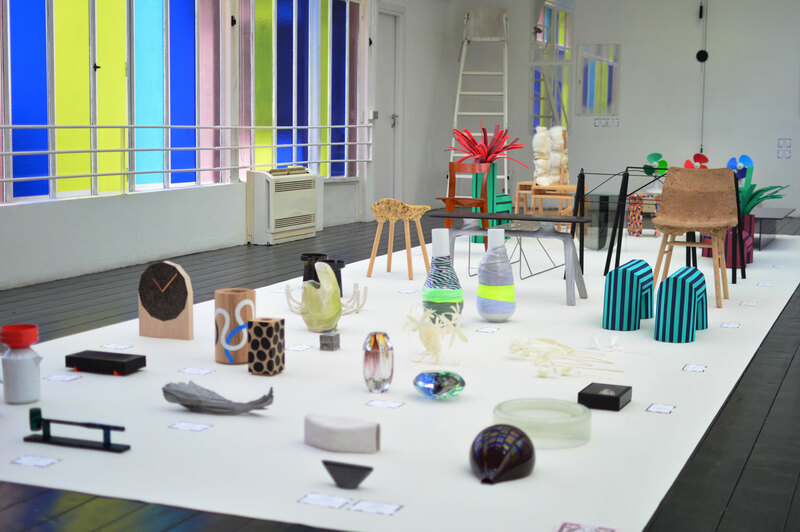 The exhibition used the variety of spaces perfectly, with skylights providing a bevy of natural light to view the mixed range of materials, shapes and textures on show. The main exhibition room cleanly laid out the variety of work on offer from , , , and to name but a few. A walk up a creaky stairway unveiled the theatre so intertwined with the Moustache ethos. A series of lights were connected in time, and upon entering a dark room, all were lit in unison. The varying forms of light from pieces by , , , and Silva Lovasova, along with the inflatable table lights by , made for a feast for the senses on entering this charming space. With the design industry heading further and further away from the modernist ideals of design production, the approachability and accessibility of unique design is growing. Design galleries have been a huge player in contemporary design/art for years, but it’s these events in Europe, and at home with events like Melbourne’s 1-OK Club, that will push more focus on the designers and their crafts, and really make design affordable for true followers of contemporary design. Let’s hope to see more brands like Moustache pushing this passion into the future. 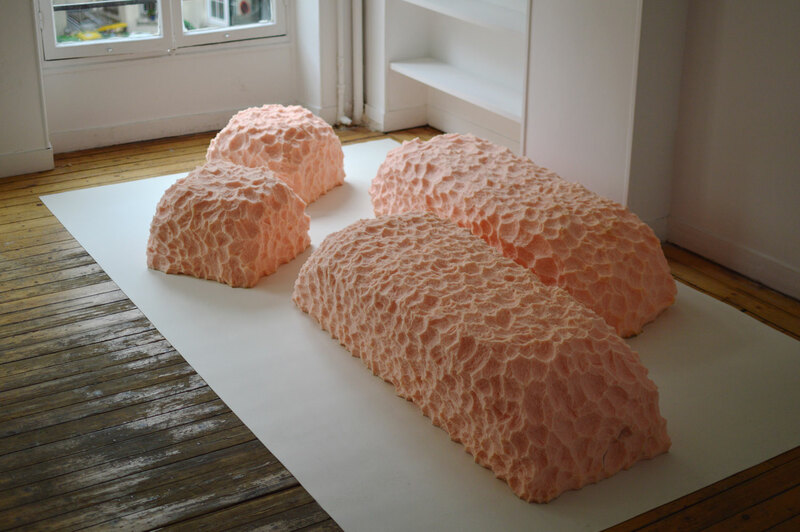 The Tarama Poufs by French designer Maroussia Rebecq Pour Le Cæur look as if they have been shaped by a set of dentures. Photo by Nikolai Kotlarczyk. Absolutely loving the colours of François Dumas’ foam sculptures. Photo by Nikolai Kotlarczyk. The main exhibition room highlights the variety in the pieces selected. Photo by Nikolai Kotlarczyk. 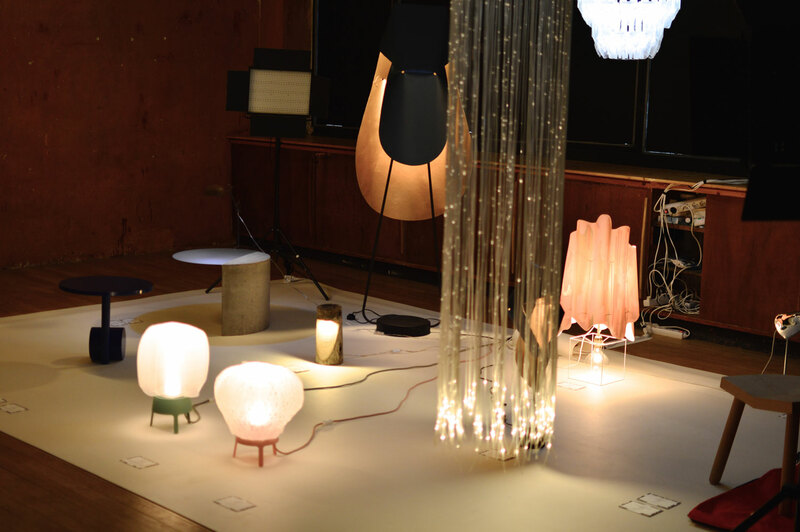 My highlight of the exhibition was the fantastic illuminated room of playful and warm lighting designs. Photo by Nikolai Kotlarczyk. The Under the Skin series of floor lights by creates a beautiful mix of shape and colour through simple folds in its structure. Photo by Nikolai Kotlarczyk. 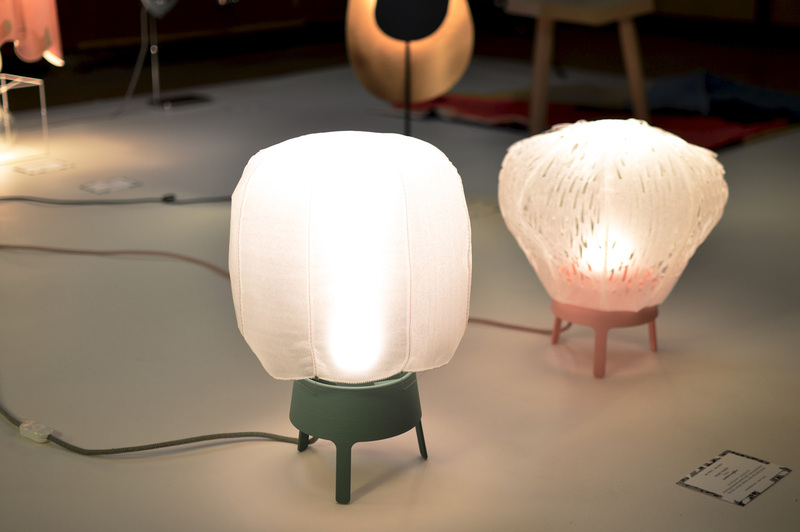 The adorable Lumiére Soufflée lamps by Marc Venot incorporate an in-built fan to provide the lamps shape. Photo by Nikolai Kotlarczyk. Spectacular Images of Australia’s Salt Fields Captured by Simon Butterworth. Nanchang Insun International Cinema by One Plus Partnership. 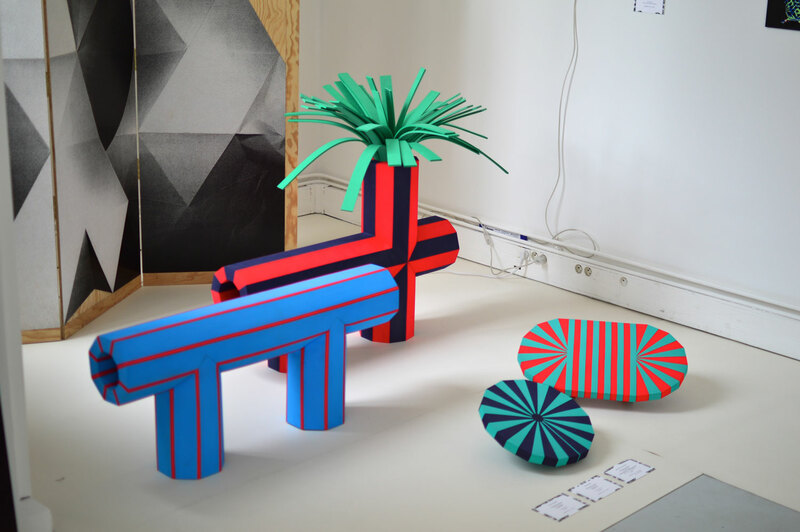 I liked everything here, the ‘curated-on-the-side’ highlights concept, the happening at the Stockholm Fair. I wish I could work with you! Any ideas we can implement in Norway?